Who don’t love Japan? They have a rich history and culture for you to understand and their excellent services considered the top in the whole world. You can even taste the Japanese food everywhere outside the country even though you have never been there before. Of course, if you want to experience the most traditional Japanese way, you have to personally go to that country. To tour in JAPAN, it can be easily ranged from the low budget holiday to the luxury holiday. It depends on what you are looking at. For a decent trip to Japan through the travel agent, it can be easily spent up to SGD$5,000 per person which includes flights, accommodations, transports, meals and other expenses. But if you are looking at an affordable and yet able to cover many places more than what normally travel agents will be offered, you are on the right page. In order not to overload this post, I will be splitting up the detailed itinerary to 3 different posts; KYOTO, OSAKA and NARA. If you think this is enough reading, you may stop here. Or you can continue reading my adventurous in Japan. The best time to visit Japan is generally in Spring (March – May) and Autumn (September – November). Lots of places covered with beautiful white and pink cherry blossom in Spring while dramatically changes into a haven of red and scarlet leaves. Temperature during these period has started to rise right after the winter season (December – March). Before travelled to Osaka and Kyoto, I will check the temperature at AccuWeather in order to bring the suitable apparels. Based on the website, it was around 11° to 15° (day) and -1° to 5° (night). But however, this is just an estimation. I will normally expect the temperature lower by 5°. To be exact, it was between 7° to 10° (day) and -1° to 3° (night) when I was at Osaka and Kyoto. Japan is 1 hr ahead of Singapore. Flight from Singapore Changi Airport Terminal 1 to Osaka – Kansai International Airport with transit at Kuala Lumpur via AirAsia X (total flight hrs: 11h 40m) with a return ticket at a price of SGD$742.81 each. So the price I paid for had included 20kg baggage with meals to and fro plus credit card charges. The most important thing that cannot be missed is the data. If you are following my instagram (@michelle.love.travel), you will know that all my photos and videos will be uploaded in Facebook and Instagram on the go. First time renting ChangiWifi for oversea data usage. It is a small and portable WIFI router that can be carried around and get connected up to 6 devices anywhere at the indicated destination except for areas that are mountainous, underground and coastal areas. 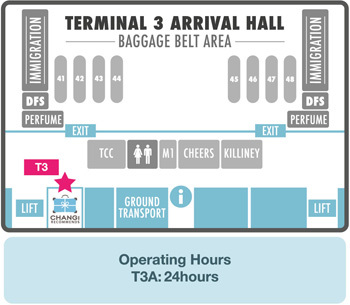 It can be easily reserved online at the Changi Recommends website and collected on the departure day on the indicated timeslot at the indicated terminal and return on the return date at any terminals anytime. Passport needed for registration and verification purpose upon collection of the wifi router. Level 1 – T1A, located between information counter and money changer. 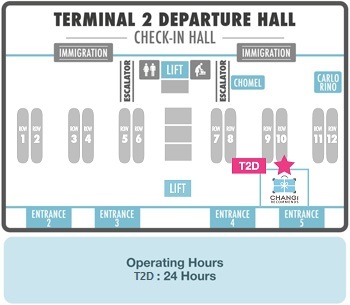 Public Area of Departure Hall Booth T2D, located opposite check in row 10. 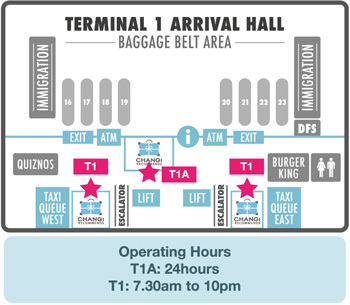 Public Area of Arrival Hall Booth T3, located opposite belt 42. The rental fees will depend on the destination and the first day rental will be waived off. For Japan, it is SGD$54.00 for 9 days (SGD$5.00 per day plus optional SGD$10.00 for loss coverage). SGD$1.00 authorization will be charged into the credit card upon collection to ensure the validity of the account and full payment will then be made only after the return of the WIFI router. There will have some penalty charges if the WIFI router has lost or damaged. Japan is incredibly easy to explore by public transport (trains, subways, buses and taxis), by bicycle and by foot to any part of the city. Trains are the best way to access most of the main city (such as Osaka, Tokyo, Kobe, Nara, Kyoto & etc.) but not the convenient way to explore within the city but it can still be able to access to some of the main attractions. For example, trains are not the best option to travel within Kyoto but it can still get to some major places like Arashiyama, Uji, Tofuku-ji & etc. from the Kyoto station. The train route map and ticketing machines are functioning in both Japanese and English language so it is not hard to travel around. The train system consists of the national JR line and several local private lines. There are several subway lines for Osaka subway and Kyoto subway. Subways in Japan are efficient, safe and cost effective which allow rapid movement within its inner urban areas. It can also link to other railways. It has announcements on the train in both Japanese and English. There will be displayed for the next station on the electronic boards in the carriages in both Japanese and English. Some subway lines in Japan will have women-only carriages running in the peak period, normally 8am to 9am. This is to prevent male perverts. Look out for the pink sign on the platform. There are local and short-distance buses in Japan. Buses serve as a secondary means of public transportation, after complementing the trains and subways. But in some cities, buses are the main means of public transportation, such as Kyoto. I didn’t get the chance to take any bus in Kyoto and Osaka because buses can be intimidating in Japan as the ticketing systems are different for all the bus operators. Recognising the stop is also very challenging. Even though some bus companies has provided English signage, timetables and announcements but somehow it can be quite confusing. The most expensive and not cost effective public transportation are taxis, especially to those cost-conscious travelers like me. But however, taxis are often the only way to get around when both trains and buses have stopped operating around midnight. Taking taxis can also be economical if there are groups of three to four people travel together for shorter rides. The most inexpensive and convenient way to explore around in the compact cities or towns, is by riding bicycles which is widely used in Japan by their local people and tourists. Rental bicycles can be found in many tourist destination, hostel (if you stay at one) and train stations. The rental fees are usually ¥100 to ¥300 per hour, ¥400 to ¥800 for half a day and ¥1000 to ¥1200 for an entire day. For both hostels that I stayed at in Osaka and Kyoto, it was only ¥500 for an entire day. But I didn’t get the chance to experience it as it was always very limited. There are dedicated bicycle parking areas near railway stations and shopping centers in most of the big cities. Illegally parked bicycles might be removed by the local authorities and will incur a fine when retrieved. Our foot is the most convenient and no cost incurred transportation that will bring us to explore most part of the cities when it is not accessible by other public transportations. But of course it is the most tiredly method to travel from point A to point B, especially this two destinations are far apart. Click below photo destination for detailed itinerary.